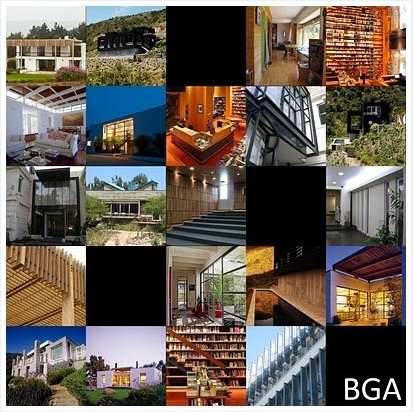 My brother Sebastián Gray Avins, architect and essayist, have a lovely new website up for their architecture firm, Bresciani Gray Arquitectos. Now you can see their recent projects, from municipal buildings to the Chilean display at the Venice Biennales. They include both images and floorplans in most cases. I should find out if they have high-resolution images up to complement the overviews. One of my favorites is Librería Ulises — a bookstore with the glory and scope of a library. What I wouldn’t give to have such a store in my city! You can also see it in the upper-left of the gallery below. And I learned a few things from their design of the new Psychology building at the Pontifical University of Chile. Props to the architects – browse some of their work if you need a break from the everyday.